Imagine this scene: You’re watching television. Somebody has just won a championship — a Super Bowl, a National Title, the Final Four or something similar. There’s confetti falling. A sportscaster stands atop a podium interviewing the winning players and coaches. People are kissing the championship trophy. Pandemonium. Then they go to commercial, come back from break, and there’s some poor sap standing outside a locker room getting ready to interview the losing coach. What do you do if that poor sap is you? Maybe the situation I least wanted to find myself in during my own sportscasting career was interviewing a coach after a tough loss. 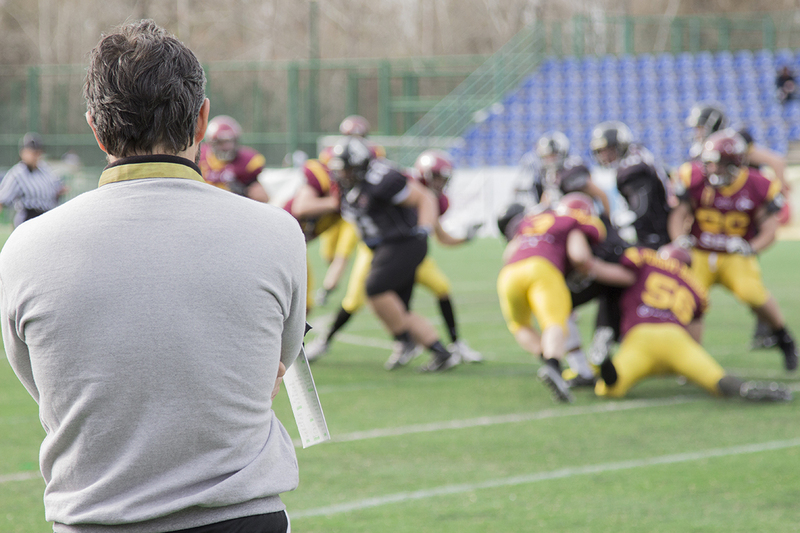 Here are some do’s and don’ts to make interviewing a coach after a difficult loss easier. DO keep the interview after a tough loss shorter than you normally would. The coach doesn’t want to be there and neither do you, so get it over with. Still give your best, but keep it short. DO start by asking about positives. Starting positive makes it a bit easier to ask your subject about the things that didn’t go so well. DO ask, “What did you learn about your team? What did your team learn?” Those are good thought provoking questions – the answers to which the coach may have already considered during the game. DO ask about feelings and emotions. It’s a generic question but you can try to spice it up by digging a little deeper or trying to put a unique spin on it. Even though you know the team feels crummy after the loss, it still can be interesting to hear the player or coach describes it in their words. DON’T offer your opinion on why the game went south or why they lost. Just ask the coach and let him give his opinion. The interview is not your time to show off your expertise. Nobody likes interviewing a coach after a tough loss. Keeping these guidelines in mind, though, will at least make it a little easier.